With an education of art history, specialized in medieval art (University of Geneva) with photography as second option (Ecole Supérieure des Beaux-Arts de Genève), Emmanuelle is also graduate un culture management at the SAWI. 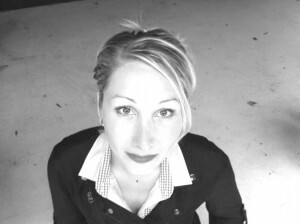 Between 2003 and 2009, she was project manager and coordinator of numerous cultural projects: she worked for the Biennale of Image Mouvement (2005 and 2007) as a admin employee then for the conception and realisation of Videolounge with Les Arts Minis crew; at the Permanence of Usine (2003-2015) as a coordinator; at the Usine Theatre as a communications manager. In 2006 She collaborates with Electron Festival for different mandates and becomes its Director from 2008. Teamed up with Jerome Soudan, they both become directors and initiators of Présences Electroniques Festival that begun in 2010 in Geneva.